It is that time of year when we start to dig up the dirt and grow our garden...all with the kids! Digging in dirt and kids go hand in hand so when we started our garden for the first time last year, the kids were all over it. They were my biggest helpers when it came to planting, weeding, and of course, taste-testing! This post includes pictures from last year's garden, and we can't wait to get started on our garden again this year! You know we LOVE sensory play, right? 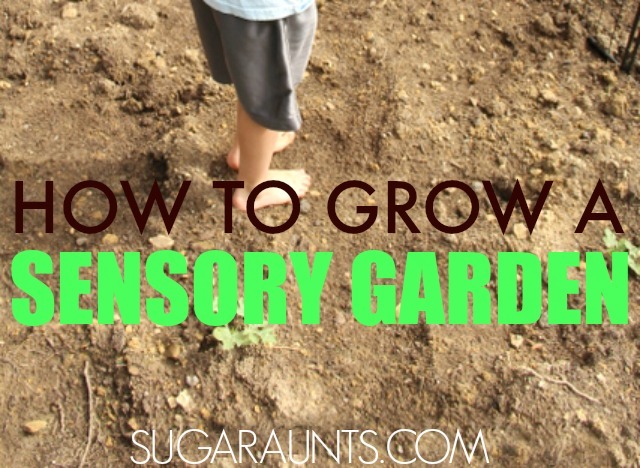 Gardening is the ultimate sensory activity when it comes to kids. There are so many of the senses addressed when a child is outside in the dirt. There is the calming and relaxing environment of quiet outdoors, soft dirt, cool colors, and the warm sun. Digging and turning dirt is a wonderful proprioception activity for kids (and adults) who need to address movement and grading of muscle use in activities throughout their day. The resistance of weeks that need pulling will provide feedback to muscles and joints. Kids can taste, see, feel, and smell so many textures, tastes, colors, patterns, and olfactory experiences depending on the fruits, vegetables, flowers, and herbs that are planted. Gardening is already such an amazing wealth of input to the senses. How can you make it even more of a sensory haven for kids to calm, relax, or provide stimulation? Sight: Plant brightly colored flowers. Plant flowers in a pattern order. Use brightly colored garden markers. Add flowers or bushes that attract butterflies and hummingbirds. Garden Hanging Butterfly Feeder or hummingbird feeders can easlily be added to gardens by hanging to branches or walls. Add height and depth to gardening surfaces by using wall hangers, raised potted plants, or tables. A Vertical wall planter encouraged overhead reach and visual attraction to different planes. Sound: Add bird feeders or wind chimes to the garden. Add water features to the garden. A solar powered water feature can be easily added to a garden space. Plant ornamental grasses or taller plants that will add a soft sound in the breeze. Taste: Plant a variety of sweet, bitter, tart vegetables and fruits. Add edible flowers to borders. Encourage cooking with kids using the produce from the garden. Touch: Plants can provide a variety of textures. Some leaves are soft and fuzzy, and others are sharp and prickly. Pulling weeds in different soil experiences is a great sensory activity. Pull weeds from dry soil and wet soil. Add rocks, pebbles, bricks, and gravel for texture. Walk barefoot in the grass and dirt. Scent: Dirt is such great scent! Add novel scents like mint, lavender, tomato plants, basil. Proprioception: Add plants that require a bit of "oomp" to pick or harvest, like radishes, potatoes, carrots. Have children dig! Moving soil provides heavy input to upper and lower extremities. Lift and carry buckets of water. Pull the hose from the hose hook-up. And wind it back up when done! Use gardening tools like a hoe, garden rake, scoops, shovels. Kids can use adult sized tools but a child sized rake, spade, hoe, shovel set. would be great too. Vestibular: Encourage children to get down on the ground to garden. Sensory diet activities can be specific to sensory system like these vestibular sensory diet activities. Sensory activities can be prescribed according to need along with environment in order to maximize sensory input within a child's day such as within the school day. Using authentic sensory input within the child's environment plays into the whole child that we must understand when focusing on any goal toward improved functional independence. Many sensory diet activities can naturally be found outdoors. 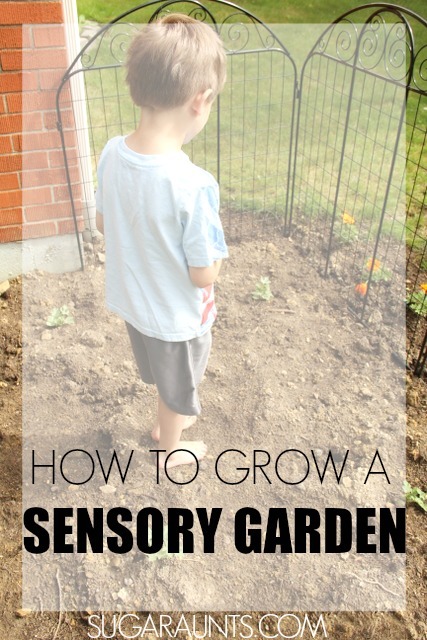 In fact, outdoor sensory diet activities are a fun way to encourage sensory input in a child's environment and without fancy therapy equipment or tools. It's a fact that kids are spending less time playing outdoors. From after-school schedules to two working parents, to unsafe conditions, to increased digital screen time, to less outdoor recess time...kids just get less natural play in the outdoors. Knowing this, it can be powerful to have a list of outdoor sensory diet activities that can be recommended as therapy home programing and family activities that meet underlying needs. That’s where the Outdoor Sensory Diet Cards and Sensory Challenge Cards come into play. They can be used based on preference and interest of the child, encouraging motivation and carryover, all while providing much-needed sensory input. Research tells us that outdoor play improves attention and provides an ideal environment for a calm and alert state, perfect for integration of sensory input. Outdoor play provides input from all the senses, allows for movement in all planes, and provides a variety of strengthening components including eccentric, concentric, and isometric muscle contractions. Great tool for parents, teachers, AND therapists! 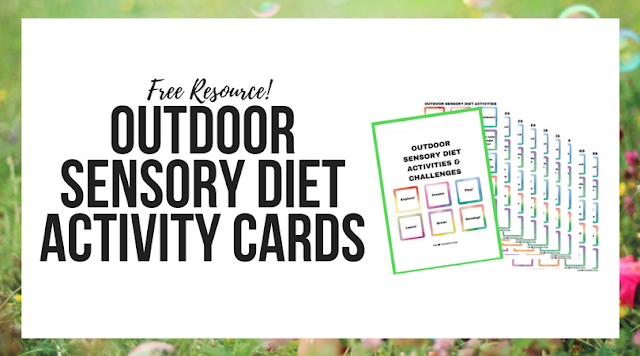 Be sure to grab the Outdoor Sensory Diet Cards and use them with a child (or adult) with sensory processing needs!